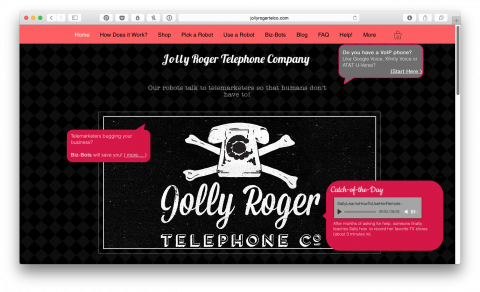 Jolly Roger are artificially intelligent bots that keep telemarketers on the line for as long as possible. Listen to this example. OMG! Whoa that situation in the example escalated quickly!